An IRA provides comparable tax benefits to a 401k, but with a broader array of assets and generally lower associated fees. There’s a finite list of things you can change at work — and your employer’s less-than-stellar retirement plan probably isn’t among them. What makes for a lousy 401k is somewhat in the eye of the beholder, but characteristics may include limited offerings, high fees or no company match. The following four alternatives can ensure your employer’s retirement plan (or lack thereof) doesn’t derail your plans for retirement. An individual retirement account, either of the Roth or traditional variety, can help solve for an employer-sponsored plan plagued by lackluster options and high fees. An IRA provides comparable tax benefits to a 401), but with a broader array of assets and generally lower associated fees. Take exchange-traded funds, for example. These darlings of the investment world still aren’t offered in a majority of 401k plans, according to data from the Investment Company Institute, a trade group. With an IRA, you’ll gain access to ETFs, along with stocks, options and bonds; meanwhile, most employer-sponsored plans are confined to mutual or index funds. There’s one major downside of IRAs, however. These accounts carry a lower maximum contribution threshold for tax-benefit purposes than a 401k: $5,500 versus $18,500 for workers under age 50. The limits increase to $6,500 and $24,500, respectively, for people 50 and older. Other good-to-knows: Roth IRAs have income eligibility limits, whereas traditional IRAs don’t (though traditional IRAs do limit deductions for high earners who also have access to an employer plan). The main difference between the accounts is when you’re taxed: now with a Roth, upon distributions with a traditional. Even if you have a good 401k, an IRA is a wise choice _ and opening one takes only minutes. Review IRA provider options. If an online brokerage account sounds like something reserved for people who trade stocks all day, think again. 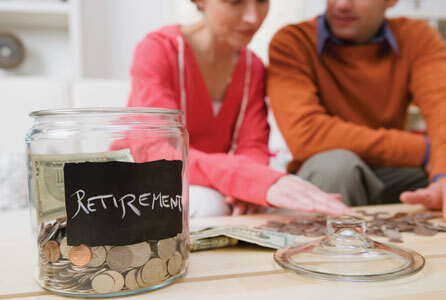 These accounts also serve the needs of long-term investors and are a good alternative to a conventional retirement account, especially if you’re looking to invest more than the $5,500 allowed for IRAs. Like with IRAs, you’ll have access to a broader array of investments than most employer-sponsored plans, along with discretion over what associated fees you’ll pay. But there’s a significant disadvantage: There’s no tax break on contributions, so investments are made only after Uncle Sam takes his bite, and earnings will be subject to taxes, too. There are a few silver linings to this approach, however. Brokerage accounts don’t offer tax benefits, so the IRS imposes no limits on the amount of money you can set aside. For buy-and-hold investors, you’ll only be taxed at long-term capital gains tax rates, which may be lower than ordinary tax rates, when you withdraw. Otherwise, selling investments you’ve held for less than a year will make profits subject to higher capital gains tax rates. Even if you have a perfectly fine 401k, there’s good reason to pad your retirement nest egg with other accounts. The following alternatives aren’t necessarily difficult to set up, but you’ll need to make sure you qualify and follow the relevant rules. Got a profitable side gig? Consider opening a SEP IRA (SEP is shorthand for simplified employment pension), which is a retirement account for business owners or self-employed workers. These accounts carry a higher contribution limit in theory _ a whopping $55,000 for 2018 _ but that’s if you’re making a lot of money. Otherwise, the amount can’t exceed 25% of your compensation. Does your insurance provider offer a health savings account? Good news: There’s a savvy way to use these accounts for retirement (and contributions are tax-deductible and grow tax-free, by the way). Money not used for medical expenses can be withdrawn after age 65 and used for any purposes without penalty; earnings and interest will be taxed as income. Researching alternatives to a lousy 401k plan takes time and effort, and it sure would be easier if your employer just offered a better plan. If only, right? Have you approached your human resources department about your 401k? After all, an attractive retirement plan is one of many benefits companies offer to attract — and retain — employees. Explain what you find lacking about the current plan and identify possible solutions for improvement. You may be the first person to speak up about the plan — or the hundredth. But you won’t know until you ask. This article originally appeared on the personal finance website NerdWallet . Anna-Louise Jackson is a writer at NerdWallet.